Paramount PicturesHow could we forget? 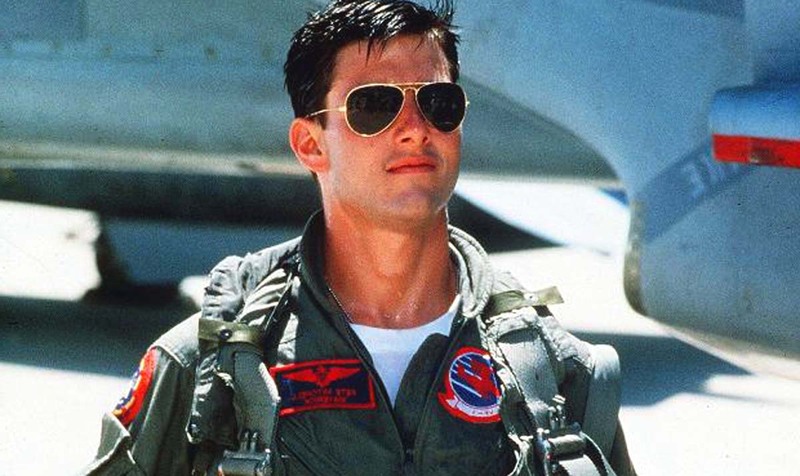 Few sunglasses have made their mark such as Ray-Ban’s iconic Aviators, a la Tom Cruise in Top Gun. As technology pushed pilots to new heights, airmen reported having headaches and altitude sickness from the glare of the sky. Bausch & Lomb to design a new pair of sunglasses in 1929. A prototype designed with green lenses proved to remove glare without obscuring the pilot’s vision. 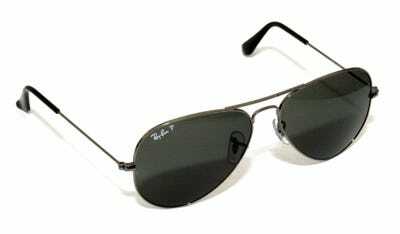 In World War II, Ray-Ban continued to improve their original lenses by equipping them with a gradient effect. With a dark half on top, and a gradually lighter half on the bottom, this colorized effect gave the pilots a clearer view of their instrument panels without compromising their effectiveness. Eager to emulate pilots, civilians were able to buy and sport the eyewear in 1937. It should also be noted that General Douglas MacArthur was the first to truly popularise the shades, after photojournalists published several images of him landing on a beach in the Philippines in 1944. 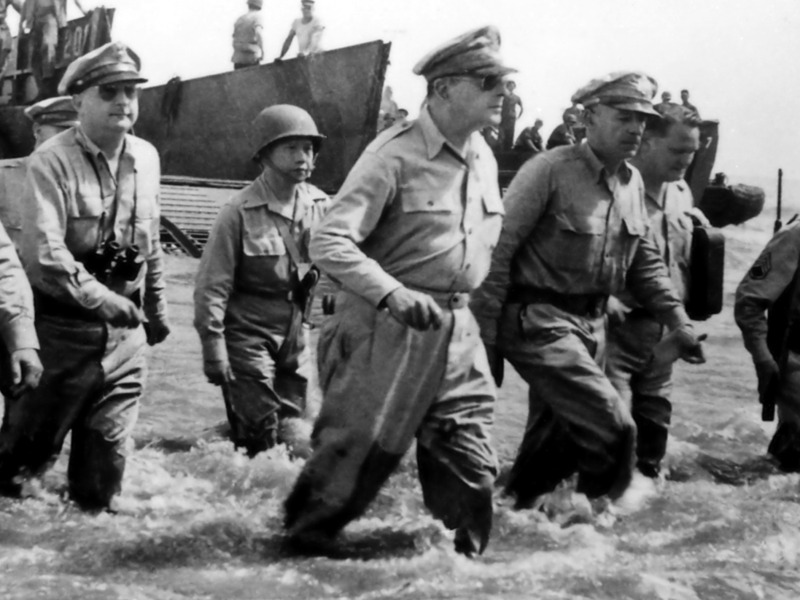 Wikimedia CommonsGeneral Douglas MacArthur wades through the water after landing on a beach in the Philippines in 1944.